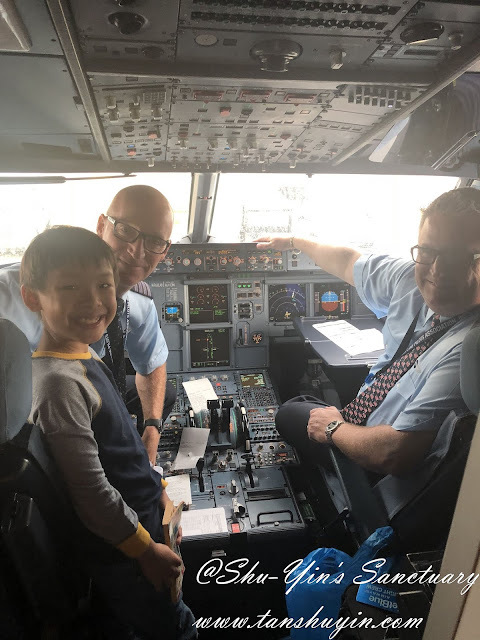 This is the first part of our recent visit to the United States of America - Cockpit Visits. 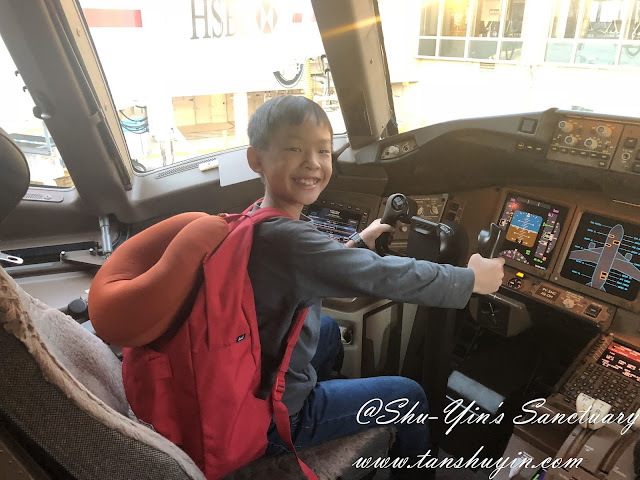 This is one of the highlights of the visit for Shern. 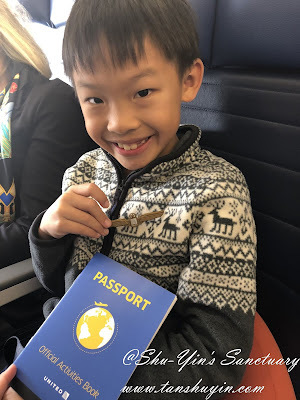 I got him a logbook to log down his flight journey, and he was pretty excited to get on the plane and to get the captain to write on his logbook. And all of the captains and crew are really very friendly and nice. 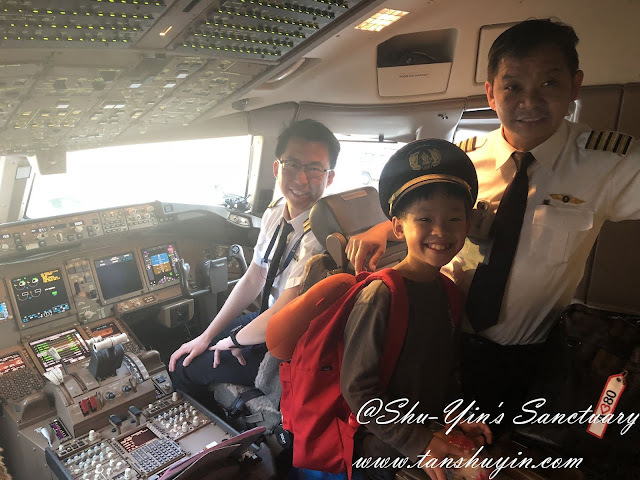 Most of them invited Shern to the cockpit for a visit after the flight. Needless to say, Shern was ecstatic. 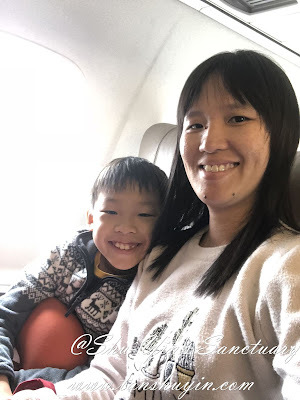 This is the flight from Incheon to Los Angeles (ICN-LAX) with Singapore Airlines. 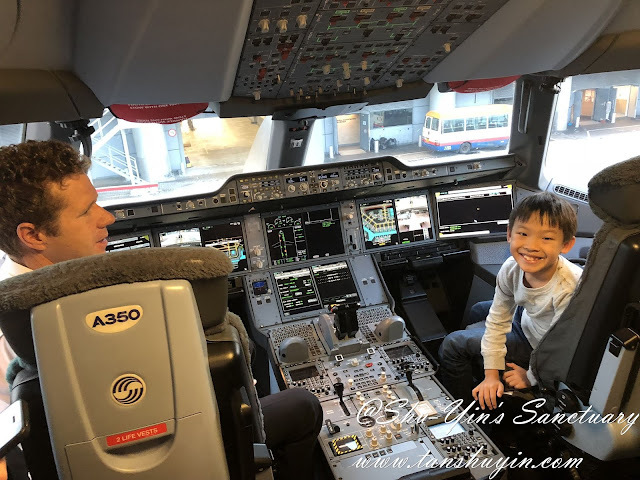 The captain and the co-pilot from Singapore Airlines. 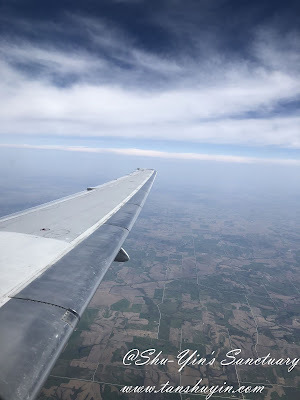 This one's from the flight from Chicago to Omaha. 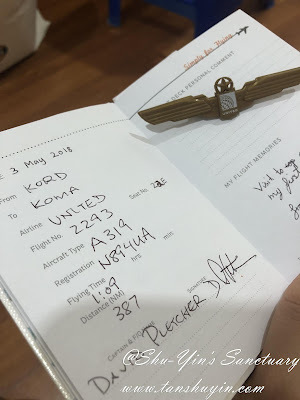 (ORD - OMA) with United Airlines. 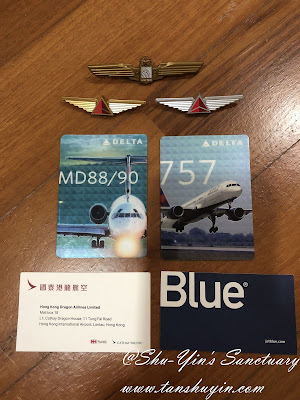 He even received his first ever gold wings pin from the Captain. 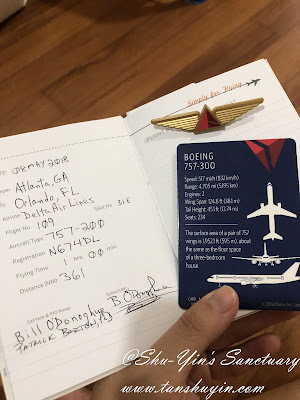 Then we flew from Omaha to Orlando (via Atlanta) with Delta Airlines. 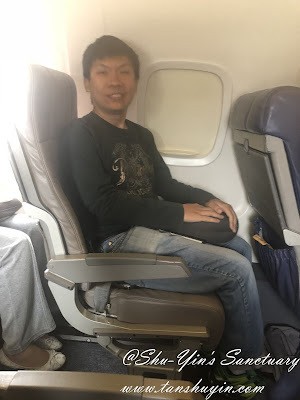 So it was a 2 legs flight. 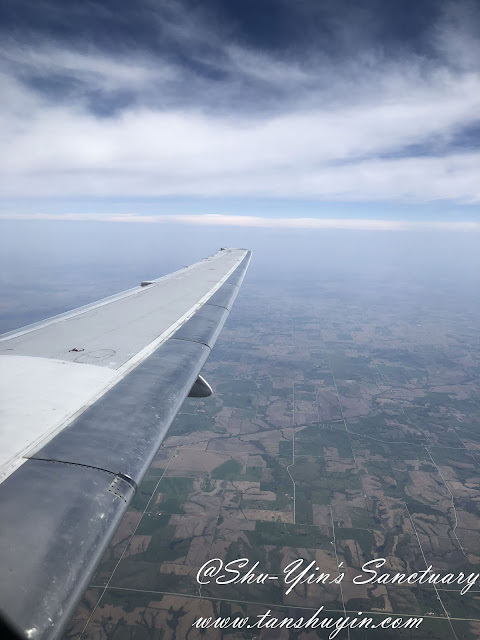 This was from the very smiley, friendly pilot from Omaha to Atlanta (OMA-ATL). 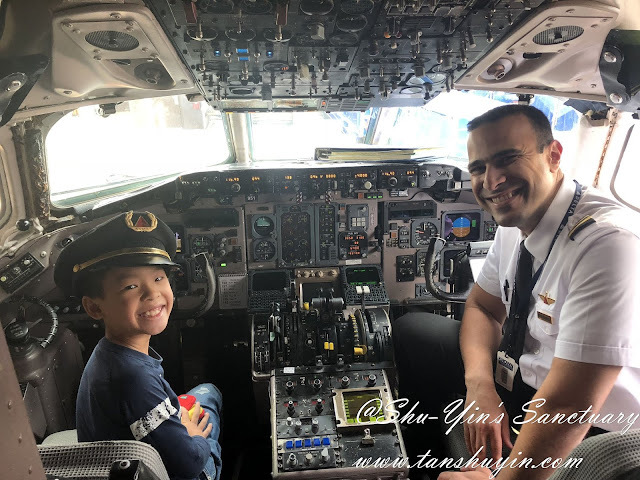 He put on his captain cap on Shern while he answered Shern's questions while filling up the logbook. 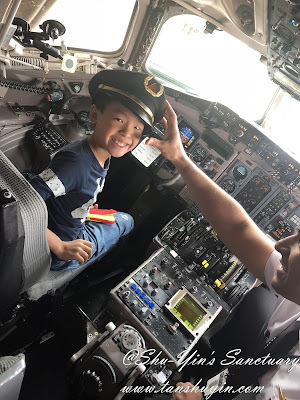 And from Atlanta to Orlando (ATL - MCO) with a very experienced captain. 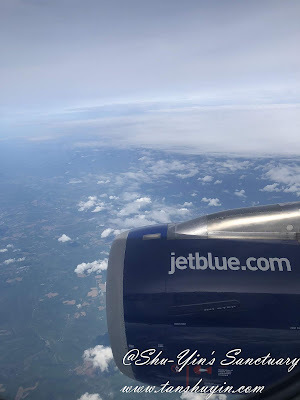 We loved flying with Jet Blue because comparingly, seats are more spacious and also the service was more friendly. 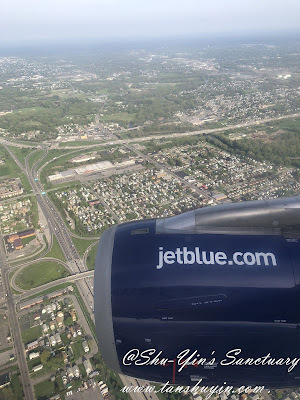 This one we flew from Orlando to Niagara (MCO-BUF) via Jet Blue. 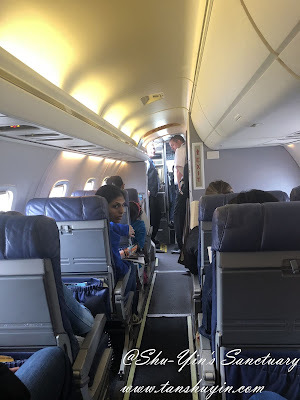 We sat in the smallest plane ever in our flight from Buffalo to New York (BUF-EWR). It was even smaller than Firefly airplane. 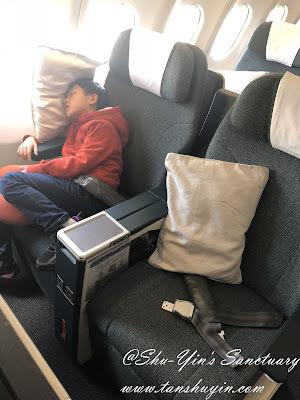 Only 3 seats per row and as for the height of the plane, some of the ang mohs even bumped their head while walking to their seats so they had to bow their head low. It doesn't look that small and narrow here in my pics but in reality such a small plane. 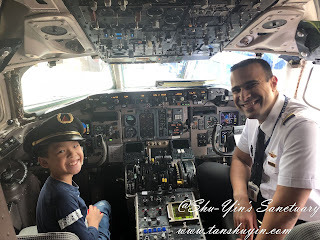 The pilot was also small sized haha and he was really friendly. He was originally from Africa. 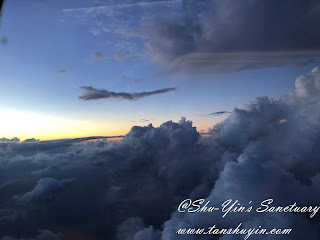 This was from our flight home from New York to Hong Kong (EWR - HKG) with Cathay Pacific. 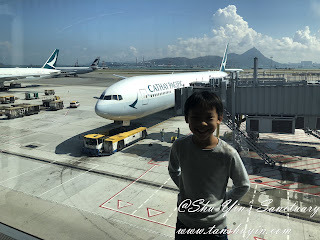 On our final last leg of our flight Hong Kong to Penang (HKG-PEN), Shern slept all the way without meals as he was having jetlag as the time difference was 12 hours. 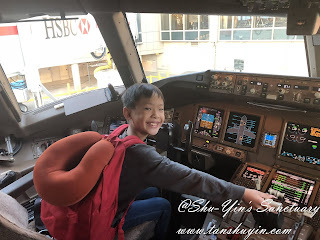 So his sleepy groggy face in the cockpit. 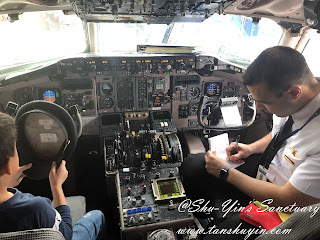 Overall, it was such a experience to get the pilot to fill in his logbook and all the visits to the cockpit. 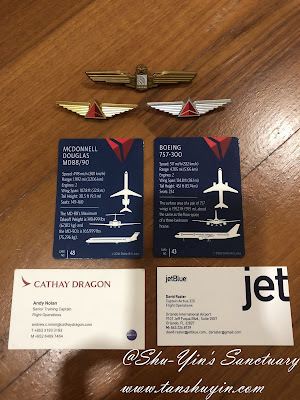 He also received some wing pins and name cards and flight cards from the various captains. It's something we will all treasure for a very long time. Some of the logbook entries. 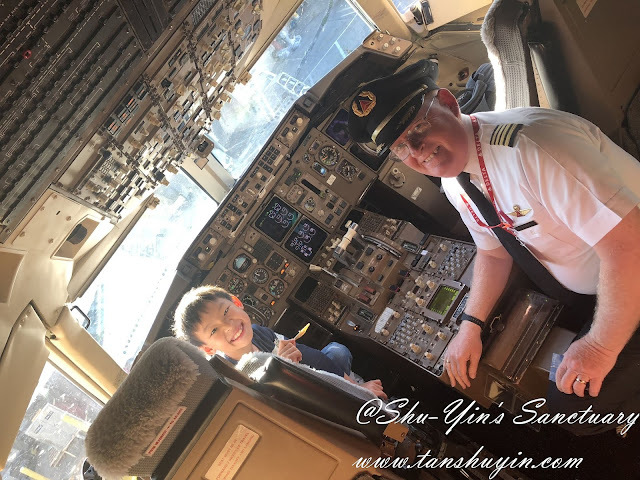 And so this was Shern's cockpit visits on our most recent USA trip. 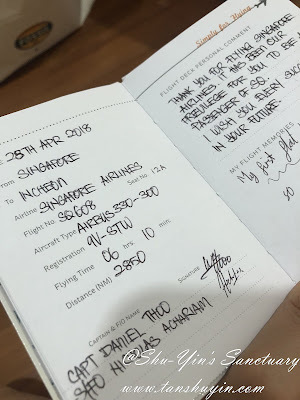 For those who are interested, I got the logbooks from Simple for Flying. 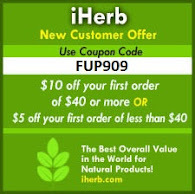 You can visit their website to purchase. Bronwyn is a really nice person to deal with. She helped me a lot when I nearly missed the parcel before we flew to US. p/s - I wouldn't say that having a Flight Logbook guaranteed invitations to the cockpit. 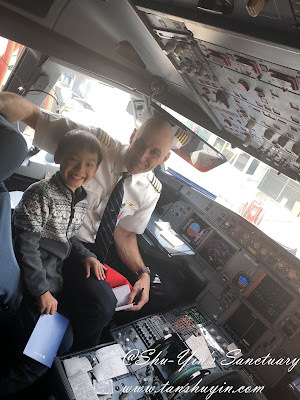 But I would say that the pilots/crew are more happy to invite a little boy/girl for a short visit as it shows that someone is interested enough to have their flight miles jotted in their logbook. ***Please take note that this post is NOT sponsored. I bought the logbooks with my own money. All text and opinions are of my own and represents my honest opinion of the product(s)/service(s). 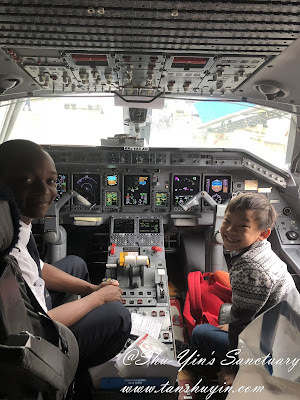 How do you get to visit the cockpit? Do you need to get permission in advance? I didnt ask for it. 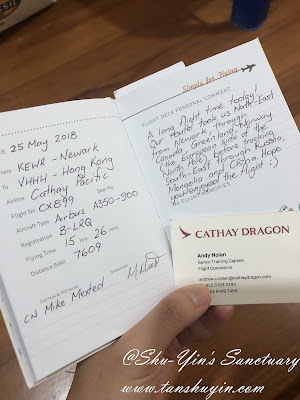 We passed the logbook to the crew for them to pass to the captain to sign. 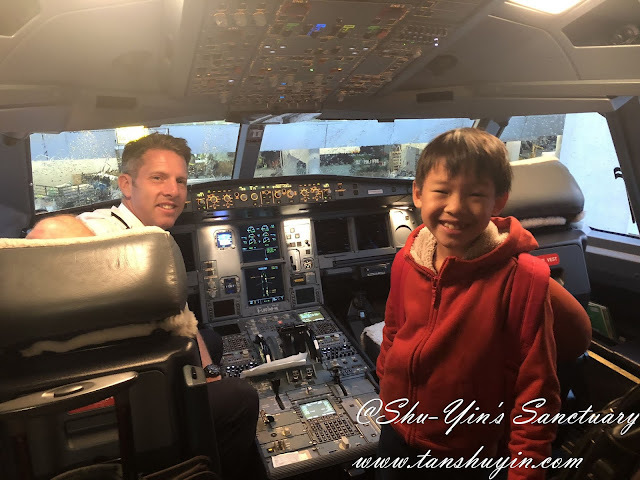 More often, the captain invited Shern in for a visit !